It always pays off to go that extra mile while dealing with our clients. Every happy customer is an added feather in our cap. Taking internet shopping a step ahead, saree.com has been successfully providing world-class video shopping services to its geographically dispersed clients. 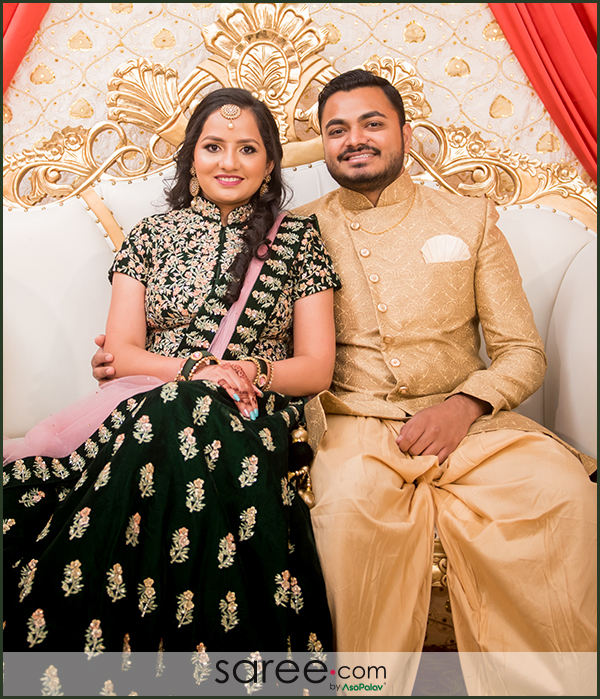 From casual kurtas to their bridal lehenga and coordinated groom outfits, our clients have been picking their choice via a virtual tour of the exclusive designer collection by Asopalav, which is our well established offline store in India. 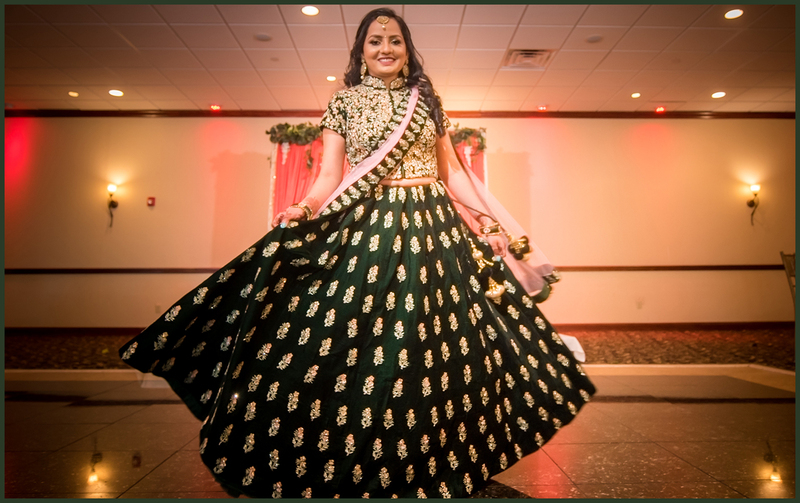 Priyanka Patel who lives in USA recently stepped into a new chapter of her life with her soul-mate following all Indian traditional rituals. Priyanka had been looking for a suitable designer lehenga for her engagement ceremony. Having seen our latest designer collection online, she wanted some more options for which she booked a video call appointment. As the video shopping procedure goes, our in-house customer service executive went on to give appropriate wardrobe options to Priyanka by showing her the garments over a few video calls. While there may be technological obstructions like poor internet connection which can at times lead to blurry pixels, our team makes it a point to explain every detail of the fabric, cut and embroidery to the customer. So whether it’s a print or thread embroidery, machine zari work or hand-work zardozi, our video shopping team gives a clear cut picture to the client verbally as well so as to eliminate digital glitches. 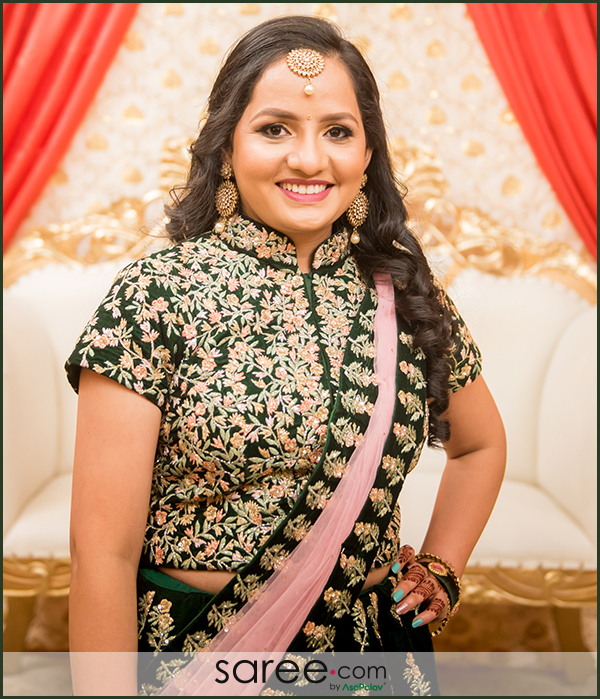 Our team helped Priyanka in choosing the best garment for her and kept her regularly updated with the status of the customized outfit in process. To overcome the limitations of time-zones, our team responded to her messages even after work hours. Getting a cheerful response from Priyanka after she tried her outfit was our highest gain! 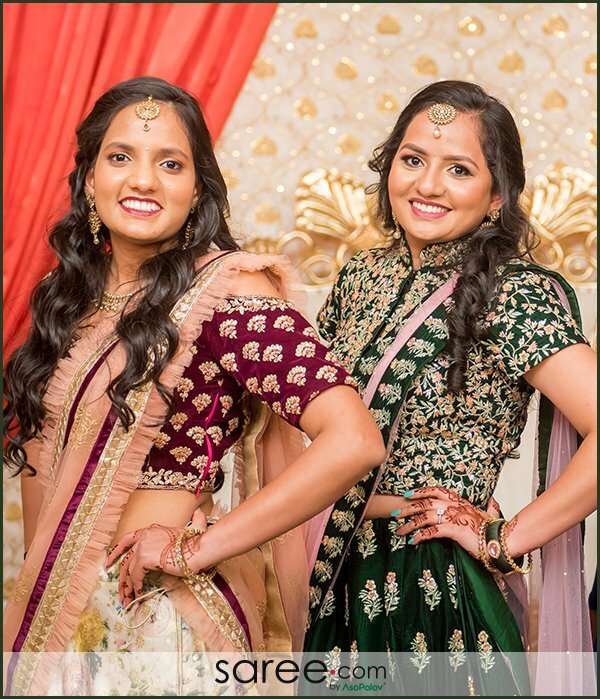 At saree.com, we take every order not as a business transaction, but as a way of making our clients’ wardrobe dreams come true. 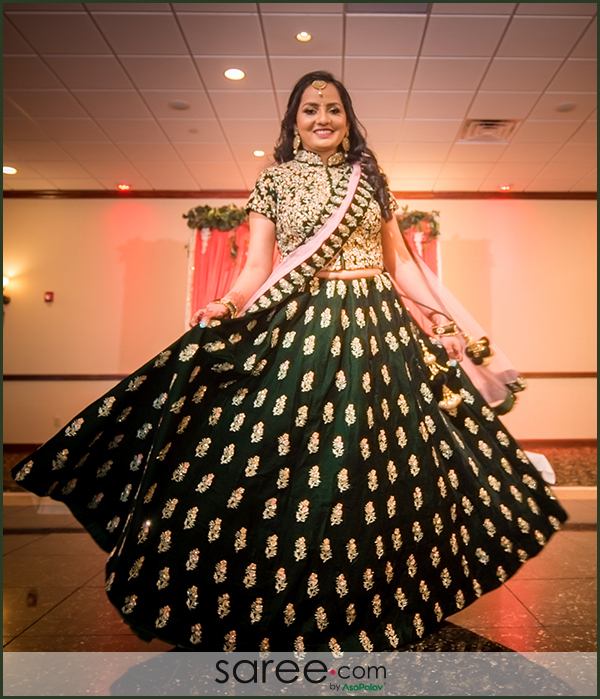 As Priyanka delightfully walked in wearing her customized and well-fitted green lehenga choli, miles away our team smiled in satisfaction. 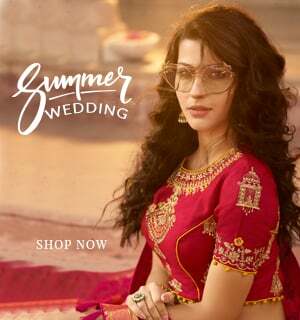 Taking cues from Priyanka, her sister also ordered her party-wear lehenga choli for the engagement ceremony via video shopping. She opted for a floral lehenga choli having a cold-shoulder blouse. 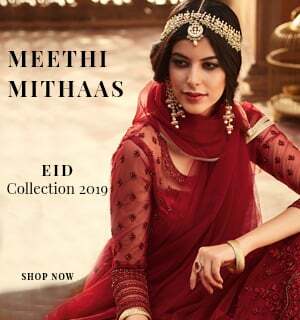 Whether it’s a purely traditional lehenga or a contemporary one, a handloom silk saree or a designer Anarkali suit, we have you sorted for all your ethnic outfit requirements for every occasion! In the era of digitalization it is indeed a wise move to take advantage of these technological amenities and make your dreams come true!